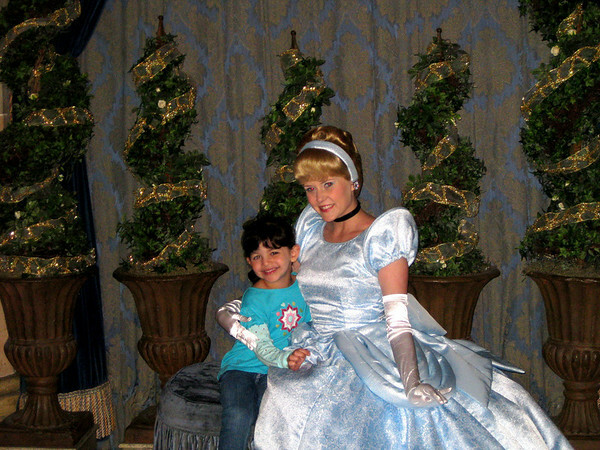 The morning after our late night of holiday magic, we had a date with Cinderella for breakfast. I have to admit I was excited to actually go inside her castle, maybe it's my inner princess. Annelise was giddy with anticipation too. Cinderella made her grand entrance and greeted everyone, then you waited for your turn to pose for a picture and autograph. Annelise asked her where Jacques and Gus were (the mice). A character meal is another one of those *extra* opportunities for more magic. There are several types available, each with a different theme and meal. You must make reservations ahead of time, and in the case of Cinderella's Breakfast you should make them at least 180 days in advance. I know. This *extra* was totally worth it. The breakfast was delicious and plentiful, and there were several magical touches. 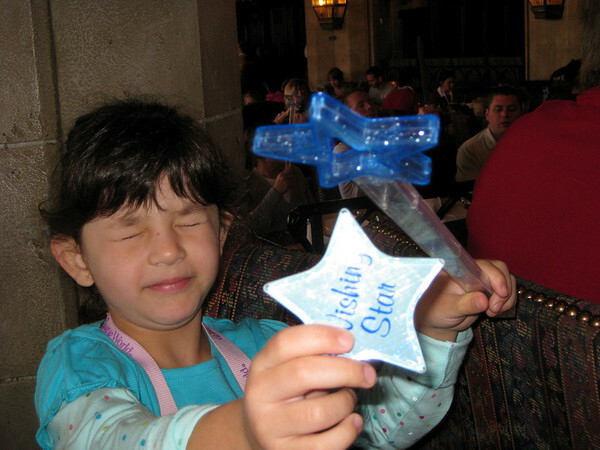 A. received her very own wand and wishing star, then participated in the wishing ceremony. Cinderella stayed downstairs, but her friends visited all the tables. They were really sweet and took time to chat with each little guest. A. quickly put her magic wand aside once the princesses came into her field of vision. 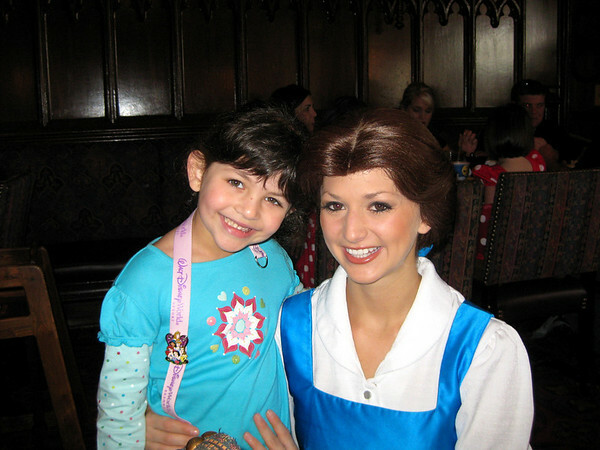 First Belle stopped by our table. A. asked what the Beast was up to and what happened to Gaston. 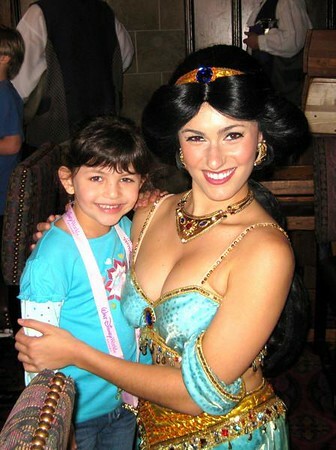 Annelise FINALLY got Princess Jasmine's autograph and picture. The restraining order has been lifted, thank goodness. 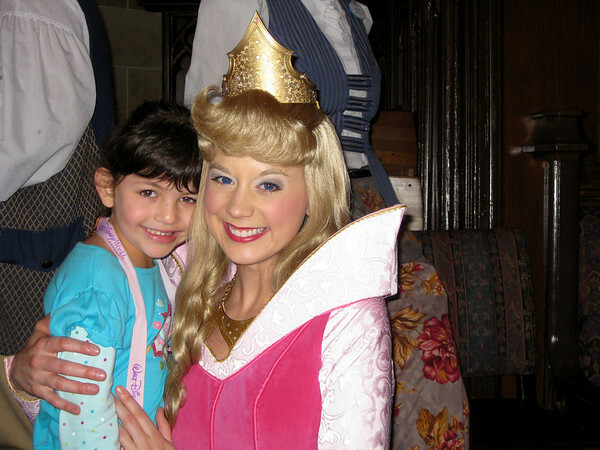 Sleeping Beauty, AKA Princess Aurora, also graced us with her presence. 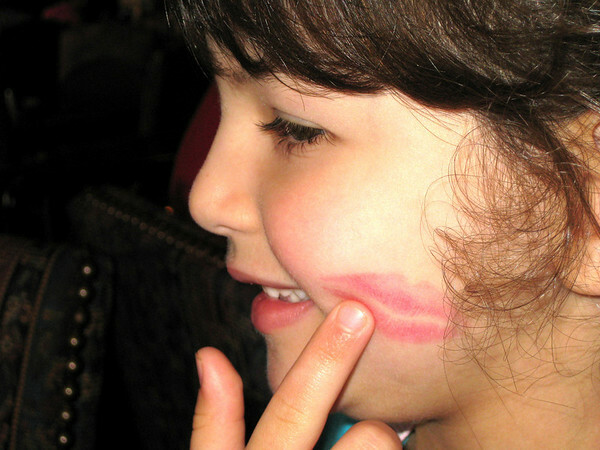 Some princesses even left their mark. A. was over the moon! 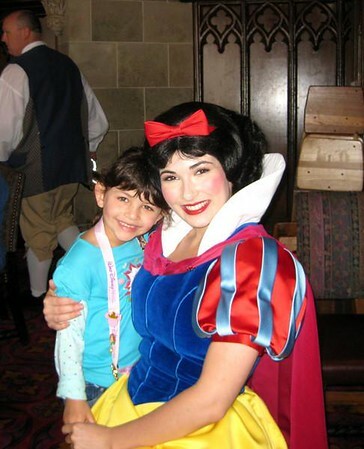 Snow White, who eerily sounded like her, chatted with us for a bit too. 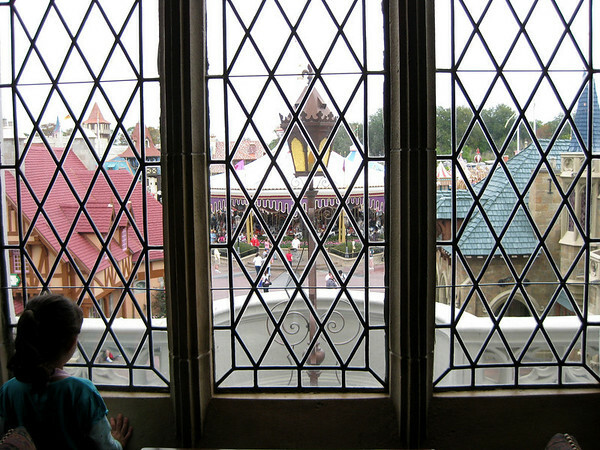 We paused for a moment to look out at the Magic Kingdom from Cinderella's viewpoint. Cinderella's Breakfast was the only character meal we experienced, but Scott and I agreed it was well worth it. One thing we did not do was the Bippity Boppity Boo Boutique, where kidlets are transformed into the princess of their choice for, ahem...a fee. A. witnessed hordes of young girls decked out in costumes and fancy hairdos each day at the park and briefly begged each day, but Scott and I drew our Disney Line in the Sand. Sorry sweetie. I am so glad you went at such the perfect age for A. She will always remember this... but will never react the same. It's so magical to see how her eyes are lit up- oh to be a kid again! we had lunch inside the castle once (no princesses) it was a lot of fun and loved that view too! I just finished a 54-page 12"x12" Disney Scrapbook for one of my customers. If only she had had some of these beautiful pictures. What a treat that would have been. So glad you had a great time. And so glad A. is old enough to remember it for many, many years. Thanks Rhonda! I was surprised by several of them since I did not take my big camera, I just took my Canon Powershot on the trip. The castle sure can awaken one's inner princess, no matter how deeply she may be buried. . . How about Scott's inner prince? Did that come out?